Hungarian PM Viktor Orbán met German Chancellor Angela Merkel on the sidelines of an EU summit in Milan and discussed current energy and foreign affairs issues. “German and Hungarian bilateral relations are all in order and the relationship is growing”, Orbán told following the meeting. On the subject of energy policy, Orbán said Hungary would take part in joint European efforts, but for now it must create its own energy stability. 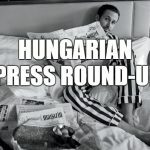 Thus, Hungary is “now preoccupied with filling up its own reserves,” he said. He added that as of 1st of January next year the Hungarian-Slovak gas network inter-connector will be online in full mode, and this will help us to transport “non-Russian gas to Ukraine, if our Ukrainian friends should wish,” he said, referring to the recent international criticism on suspending gas export to Ukraine. The EU heads of states and government focus on high rates of youth unemployment at the summit in Milan. This meeting follows similar ones held in Berlin and Paris last year. 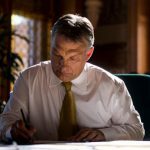 Viktor Orbán has mentioned the Hungarian model as an example to follow. Hungary has proven that it is possible to create jobs while maintaining fiscal rigour and reducing state debt, he said just before the EU summit on employment, asking the EU leaders to recognise and support the economic policy of the Hungarian government.